Satisfy ISO Internal Auditor Training requirements covering the latest ISO 9001:2015 Quality Management Systems (QMS) standard. This ISO 9001 Internal Auditor Training Class is appropriate for new or beginning quality personnel, and for experienced lead auditors or quality managers seeking a refresher course or the opportunity to discuss new innovative approaches to the latest ISO 9001:2015 Standard. Change is here. 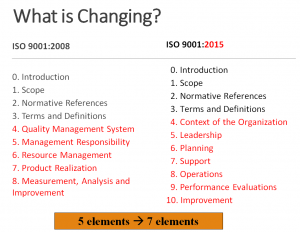 While the latest ISO 9001 revision has a number of significant changes, these changes do not have to be scary. This training session is designed to teach you about the changes that have arrived and to help you assess the effort that will be needed to transition your organization to the new standard. ISO 9001:2015 Internal Auditor 3-day course covers the concepts, principles and practices of the ISO 9001:2015 standard and of effective internal audits based on ISO 19011. Experienced ISO practitioners explain ISO 9001:2015 in detail and guide participants through the internal audit process for an ISO 9001 quality management system. 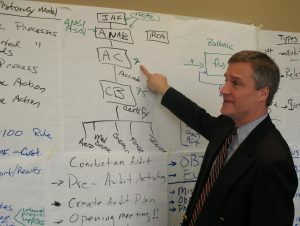 Students gain necessary auditing skills through group discussions. Real world issues are covered by experienced auditors in order to ensure you get answers to your questions. Exercises are used to provide a great learning experience that you can take back to your company. Tuition to the Internal Auditor class does not include a copy of the ISO 9001:2015 QMS Requirements Standard – copies are available for an additional $175 each. NEW: Auditor skills require risk-based approaches. ISO auditors will need to understand how to identify risk concepts, tools, or methods for risk analysis and management. Although ISO 31000 or FMEA are not required, familiarity with risk-based approaches of some type will help an ISO auditor. NEW: Auditor skills require customer and market risk. ISO auditors will need to identify interested parties (e.g. customers, shareholders, board members, competitors, regulators), what their relevant interests might be, and the risks as it relates to the organizational context. Take the mystery out of the ISO 9001 2015 Standard by taking this special training event. Everyone wants to be part of a successful organization. Connecting the dots between compliance and success can be an important motivator for your audit team. Plus, each participant will receive a copy of the ISO 9001:2015 Quality Management Requirements to aid your understanding of the Standard and to use with your own ISO audits at your organization. Instructor Chris Anderson form Bizmanualz explains ISO Accreditation Structure. Color PowerPoint presentation materials and Internal Auditor course handouts. 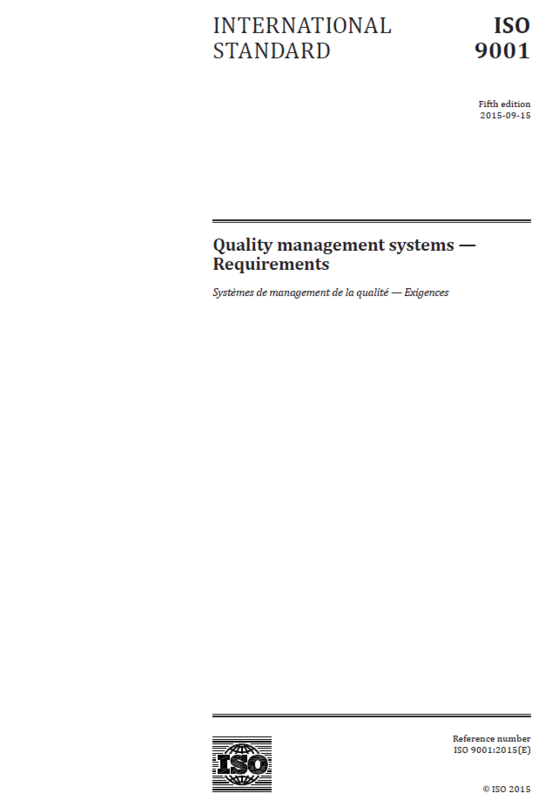 An official hard copy of the ISO 9001:2015 Requirements Standard is available for an additional $175. Anyone conducting or managing first-party internal audits, ISO 9001:2015 Management system implementation representatives, or ISO 9001 Quality Managers. 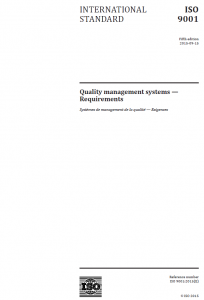 Familiarity with ISO 9001 and quality management principles is helpful, but not required. USD $995 Section Member Price (Non-Member $1,095). NOTE: This registration may be cancelled until May 03, 2019 for a full refund. Cancellations after this date will be subject to a 10% processing fee. Last day to register online is May 10, 2019.